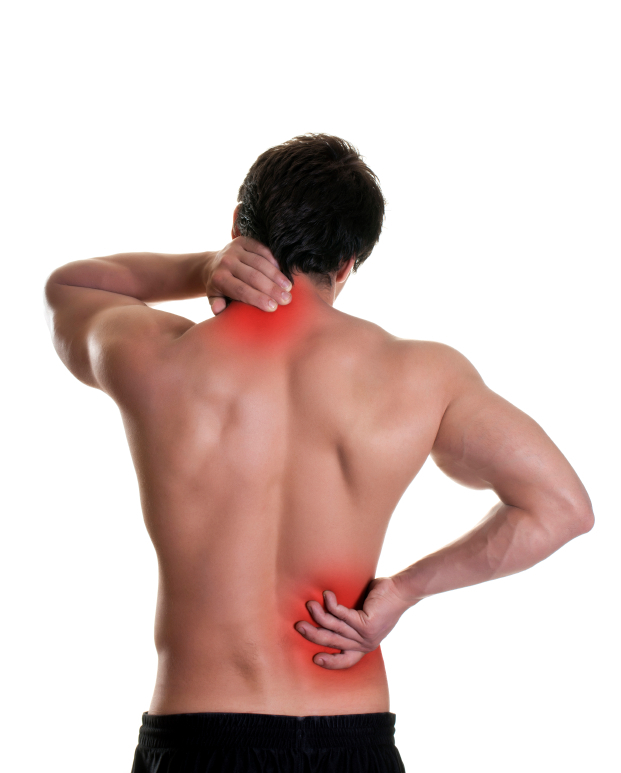 Therapeutic Orlando Massage-Recover From Back-Disc-Joint And Nerve Injuries Today! Within my greater Orlando practice I use proprietary medical/therapeutic massage protocols, which I have often been asked to teach. This work is unique and I have clients flying from across the country to receive treatment. Call my office for more information. “First let me say that I have already had serious back surgery in May 0f 2010. I thought I had tried everything humanly possible to avoid surgery. I had used physical therapy and exercise beginning in 2002 and was able to temporarily avoid surgery. However, the severe back pain returned in 2010 and I made the mistake of having surgery. This surgery led to another disc problem. I have a nutritionist that I have been using for many years who told me about Michelle. My nutritionist had flown into Orlando to receive treatments from Michelle and she recovered. Her success encouraged me to seek this therapy for myself. Prior to receiving my treatment from Michelle, I was prescribed both a cane and a brace for my right leg nerve damage. That’s when I decided to fly to Orlando and work with Michelle. I spoke to Michelle on the phone and set up a week of therapy. She began to work on my back with her specific disc therapy. After my first three treatments she supplied me with a stretching tool to maintain the progress of my healing. I was previously diagnosed with spinal stenosis and bulging discs. My Clients recover from both chronic and acute soft tissue injuries within two to five treatments. Within your first treatment you will obtain great results and many times total relief of your pain. You will certainly know that you have chosen the right path. I guarantee that you experience great results within one treatment. Decide to resolve your soft tissue condition quickly with my specific Neuromuscular/Myofascial soft tissue therapies. Save yourself the worry and aggravation of traveling from place to place. You can find your solution within my practice. If you are suffering from herniated or bulging disc problems in your neck or back I have designed a blend of specific Neuromuscular and Myofascial therapies which are extremely effective in resolving your injury and chronic pain. My clients avoid painful surgery and injections. They are able to eliminate the need for various prescription medications. If you have back or neck pain, damaged joints, pinched or compressed nerves, you have found the answer to these often debilitating problems. For more information contact me directly to obtain my assistance. “Michelle has been the Neuromuscular trained therapist I personally go to for over 15 years. I have referred many patients because she consistently provides specific therapy for the pain associated with herniated , bulging discs and pinched nerves. I cannot thank you enough for getting rid of my back and leg pain. Over the Christmas holidays I developed sciatic nerve pain so severe I could barely stand or walk. Located in Central Florida, Orlando is a popular tourist destination, the county seat of Orange County and the center of the Greater Orlando metro area. Orlando is also the 77th largest city in the United States, the sixth largest metro area in the Southeastern United States, the third largest metro area in Florida and the fifth largest city in the state. Colloquially known as “Greater Orlando” or “Metro Orlando,” it is the hub city of the Orlando-Kissimmee, Florida, Metropolitan Statistical Area and encompasses the four counties of Orange, Osceola, Seminole and Lake. Orlando is currently the 26th-largest metro area in the United States. Orlando covers 21 zip codes: 32789, 32801, 32803, 32804, 32805, 32806, 32807, 32808, 32809, 32810,32811, 32812, 32814, 32819, 32822, 32824, 32827, 32829, 32832, 32835 and 32839 – (zip code boundary map) Nicknamed the “The City Beautiful,” Orlando’s symbol is the fountain at Lake Eola, the main feature of the lake Eola park. Also located in the park (on the west side) is the Walt Disney Amphitheater, which hosts many community events and various performances year round. Orlando is known as “The Theme Park Capital of the World” with tourist attractions drawing more than 51 million tourists a year, including 3.6 million international guests. Orlando is also home to thousands of military veterans and members of the active military returning from deployment overseas. As the most visited American city in 2009, Orlando’s famous attractions are the cornerstone of its tourism industry and include: Walt Disney World Resort, Universal Orlando Resort, Islands of Adventure, City Walk, SeaWorld, Gatorland and Wet ‘n Wild Water Park. The historic core of “Old Orlando” is situated in Downtown Orlando. The historic district is primarily associated with the neighborhoods around Lake Eola where century old oaks line brick streets. These neighborhoods, known as “Lake Eola Heights” and “Thornton Park,” contain some of the oldest homes in Orlando. There are 115 neighborhoods within the city limits of Orlando and many unincorporated communities. Orlando has a tropical climate with two major seasons each year. One is hot and rainy, lasting from May until late September, and the other is the dry, relatively cool season. On average,the city gets 51 inches of rain per year and no snow. The number of days with any measurable precipitation is 113. July highs are around 92 degrees and January lows are around 50 degrees. Comfort index, which is based on humidity during the hot months, is a 27/100, where higher is more comfortable. As of 2012, Orlando’s population is 238,300. There are 2,327 people per square mile (population density). The median age is 33. 32.19% of people are married and 15.03% are divorced. The average household size is 2.31 people. 24.11% of people are married with children and 23.60% have children and are single. The median home value in Orlando is $93,200. Home appreciation is 0.55% over the last year. The median age of Orlando real estate is 26 years. Renters make up 51.18% of the population and 15.45% of houses and apartments are unoccupied (vacancy rate). The average one-way commute in Orlando takes 28 minutes. 78% of commuters drive their own car alone, 10% carpool with others, 5% take mass transit and 4% work from home. The Orlando International Airport is the thirteenth busiest airport in the United States and the 29th busiest in the world. Orlando regional public transportation system is called LYNX, a public bus system that services all of Central Florida. LYNX bus stops are often marked by a round sign with either a pink paw or pink bus symbol. Standard bus fare is $2 per person one way, with free transfers. You can get daily passes on the bus ($4.50) and weekly passes for $16 which have to be bought in advance, either on thweb or from certain outlets in the area. LYNX also offers a free bus system within Downtown Orlando called LYMMO. The nearest major airport is Orlando International Airport, with international and domestic flights, 13 miles from the center of Orlando. Another major airport is Orlando Sanford International Airport, with international and domestic flights from Sanford, 26 miles from the center of Orlando. Michelle Hamel, NMT, Orlando therapeutic-medical massage therapist and owner of The Neuromuscular Pain Relief Clinic, specializes in non-surgical care of pain associated with bulging and herniated discs, inflamed joints and compressed, entrapped or pinched nerves. Service areas include: Greater Orlando, Longwood, Winter Park, Maitland, Lake Mary, Sanford, Altamonte Springs and Central Florida.